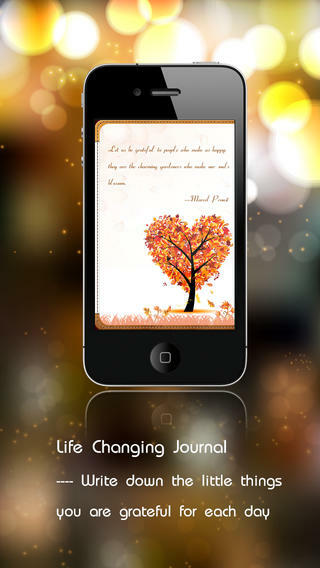 Practice gratitude by writing down the things you're thankful for in this daily journal app. - export your journal to a PDF file. It’s good that you can sync your iPhone and iPod devices so that you can access and use the app on multiple devices. The daily quotes can be uplifting. You can back up journal entries using iCloud, create privacy settings for your journal, and share your journal entries on Facebook or Twitter. 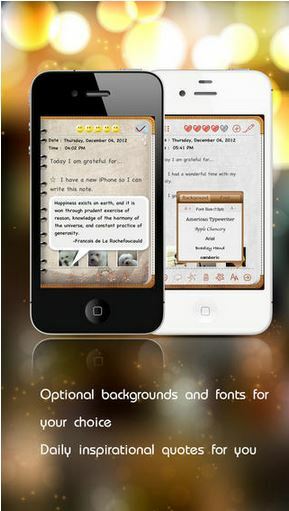 It’s a good, basic app, but i didn’t see anything particularly educational about the journal in relation to why expressing gratitude is important to well-being, or about the different ways to express gratitude. It is simply a way of recognising and recording things for which you are grateful. 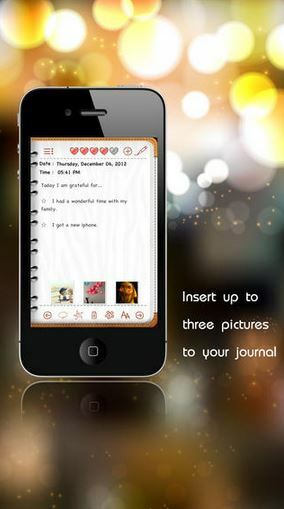 The journal is rather limited in its capabilities - for example, you can upload only three photos per entry. A bit more creative freedom is preferred so that you can tailor the design of your journal pages to reflect your mood and personality. It's simple and easy to use. You can tell straight away it's targeting mental health. It's in the form of a journal and all you need to do is write down the things that you're grateful fro that day. It also comes with a motivational quote of the day.